The second full trailer for 'Horrible Bosses 2' is here, and it features some seriously amateur kidnapping maneuvers, as the guys try to put together a foolproof plan to help Chris Pine's character get revenge on his dear old dad, played by Christoph Waltz. If these guys can't even spell "kidnapping" correctly, we don't see this thing turning out very well. The sequel finds friends Nick, Dale, and Kurt tired of answering to bosses, so they set out to launch their own business. But when a clever investor endeavors to wipe them out, they come up with a half-cooked scheme to kidnap the investor's son -- and judging from the latest trailer, it looks like it's not long before he's getting in on the ransom action himself to take revenge on his own dad. 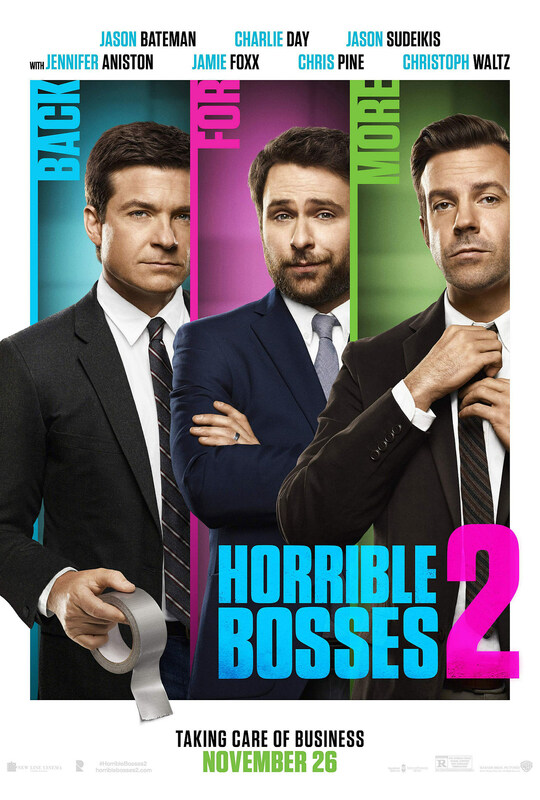 Charlie Day, Jason Sudeikis, and Jason Bateman reprise their roles from the original film along with Jamie Foxx who returns as Motherf---er Jones, Jennifer Aniston as the seductive Dr. Julia Harris, and Kevin Spacey as previous horrible boss David Harken. They're joined by newcomers Christoph Waltz as the slick investor, and Chris Pine as his son.